So as per a research conducted, there are a lot of companies importing the parts from outside borders. The minimum cost of an electric skateboard in India is 700 USD to 1000 USD due to same. So the idea of this project is to decrease it to 300 USD to 350 USD over here so that it can be easily available to a much larger crowd and the product becomes more far reaching. Cars and Trucks have been the fastest growing category of radio control in the past decade and rightly so. They are fast, exciting, and something that everyone of all ages can take part in their own level. R/C land vehicles fit into five main interest categories Off Road Buggies, On Road Cars, Monster Trucks, Stadium Race Trucks, and Motorcycles. All of these vehicles can be found powered by electric motors and more recently some of the vehicles have been offered in glow and gas powered versions. 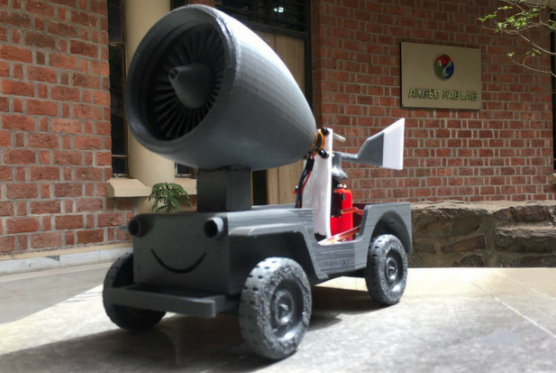 Garuda is a radio controlled or R/C car that works like a battery-powered model car or truck except that it can be controlled from a distance using a specialized transmitter or remote.